With the new Marketplace we are introducing a new app distribution platform; creating, publishing and installing apps has never been easier. This makes ownCloud the leading, flexible open platform for extented functions on top of file sync and share. The Marketplace enables developers to create and publish apps; in the future, also payments will be allowed, so developers can make a living by publishing the apps over our marketplace, making them available to every ownCloud user. By the community, for the community! 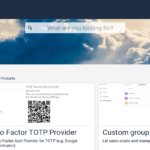 But not only apps can be traded on the marketplace; you can also offer services to users, for example setting up an ownCloud, providing support for non-techie community users, administrating ownCloud instances. The kind of service is not limited to these, of course. Be creative! Find out what is needed, and provide it on the marketplace; those in need will find you that way. It will make experts more visible, so people can help each other better. Apps like Collabora Online ation, PrivacyIdea and the ones you will create for the future lay the foundation to replace the googleverse with a viable open source alternative in the hands of the larger communities. You have the chance to build a decentralized internet, with the means of transparency. 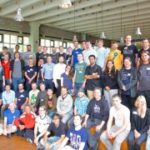 Finally open source alternatives become usable for everyone, making internet freedom a thing not only for us nerds and experts. 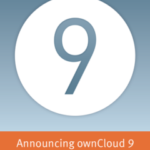 So go ahead, install ownCloud X, and register on the marketplace! Give your data a new home, apart from data silos like Google and Dropbox. Bring your data home to your own cloud! Fantastic news. As a service provider, this is a welcome advance — making it easier for us to reach end users and provide them with that they need benefits everyone. Keep up the good work!